A two hour movie, filmed at twenty four frames per second will contain 172,880 frames that the director can use to hold the viewers attention. Photography is different in that the end result is just one frame. If I can hold your attention for even two seconds then I consider myself doing well. Very many thanks for your comment Andy!! Much appreciated. 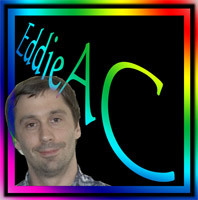 Excellent PF Eddie. Particularly enjoyed you macro challenge album.